My son just turned eleven. He has the unfortunate lot in life of celebrating his birthday relatively close to Christmas, gift giving becomes a bit more problematic after the excess of the holiday season. 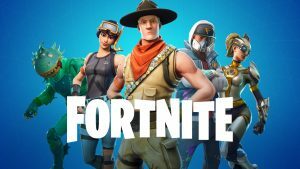 This year we decided to allow our son (after a year of begging) to download and play the game Fortnite. On the one hand it was the most economical gift we have given our son, as the game is totally free (kind of…more on this later). He was ecstatic about this gift. He thanked us over and over and kept repeating “I can’t believe I got Fortnite for my birthday! This is the best birthday gift ever!” It was a definite parenting win. The smile on his face was what we all hope to see on our children’s faces. However, it didn’t start that way. To fully understand why this was such a big deal for my son I need to rewind a year. My son’s friends are almost all a year older them him so he is often exposed to things earlier than most kids his age. Last year, all we heard about was Fortnite. When he was playing football on the field the boys were all talking about it and doing the dances, when he was walking to school with his buddies they were talking about it, when friends slept over they were talking Fortnite. Up to this point videogames weren’t a big deal in our home. The previous year, my son had saved his money (from allowance, birthdays, Christmas, etc) to purchase a PlayStation. He played for a few hours a week, mostly on the weekends. It was going pretty well. We looked at Fortnite and noted that it was recommended for children 13 and older. This was a conversation for my husband and I, but our son already owned a game with a similar rating and we felt that he was handling that well, so we said yes. Then we started to download the game and within minutes both my husband and I looked at each other and we knew, we weren’t comfortable with the violence of this game. The purpose of the game was to kill everyone else and be the last one standing. The guns looked real and the characters were human. In our son’s other fighting games the characters were robots, the guns were lasers and it seemed much more cartoonish. Lesson number one, we should have done a better job of researching what we were allowing. It wouldn’t have taken long and we could have prevented the tears that then followed, because we told our son that we had made a mistake and that we were not comfortable with this game in our home. Lesson number two, don’t be afraid to be wrong and say so. Our son was devastated and it was our fault, he was mad at us, and that was ok. We needed as parents to sit with our decision and make the difficult choice. We worried a little bit about him missing out on something all his friends were doing, so we watched his interactions closely. He still got invited to birthday parties, his hockey teammates were more interested in talking about the Canucks, and kids still knocked on our door to jump on the trampoline. When his friends did talk about Fortnite, our son kept up and listened to the conversation and was also able to change the subject when he wanted. It didn’t impact his social connections. Lesson number three, its ok to not follow the crowd. We have had Fortnite in our home for a month now. I still don’t like the violence, but I do love the dancing. I’m not a gamer and don’t really get it, but the game itself appears not to be the big draw. I think my son has better games that look cooler and require more skill. What I think my son is drawn to, is the social connections the game allows. He is often playing with five or six friends from his class and chatting with them as they are playing. This is the first time he has ever engaged online socially and this is where as parents we need to guide him. Lesson number four, we need to be present as he learns to navigate online. We have been really explicit with the rules around his online friends. They must be people he knows, that are his age, and that we have met. For example, he asked me if he could “friend” the leader who runs the afterschool program he attends. This was an opportunity for us to talk about appropriate online friendships and why this particular friendship would not be appropriate. When our son is playing Fortnite, he is playing in the rec room. He knows that when I walk by to do laundry I can hear what is happening or as my husband is puttering with his bike he is right there listening to what is going on online. Fortnite has also provided a great context for teaching financial literacy to our son. I think the ability to purchase items with the game is very appealing to kids and potentially dangerous. You can purchase accessories for your avatars, V-Bucks, and battle passes within the game and the makers of this game are very clever in how they market these purchases to our children. Lesson number five, we totally took advantage of the situation to teach him some really important financial lessons. For example, we had our son purchase a $20 gift card to load onto his account rather than use our credit card. We also taught him to calculate the cost of one V-Buck so that he could understand how much each item is worth. A character’s outfit or “skin” is an example of what is available to purchase within the game. My son is purchasing (virtual) clothing for his avatar. The irony is that my son is not the least bit interested in shopping for real clothes for himself. The conversations that we he have been having about what he is spending his money on have been great learning opportunities. And finally, we have learned that we really need to support him to balance his screen time. Now that his friends are online he often asks to play Fortnite because he knows his friends are playing at a specific time. Family dinners, homework and reading still come before screen time. And just yesterday there were a large number of kids playing soccer on the street, then they all came into my house asking to play Fortnite. I sent them back outside! As great as it has been for my son to finally be able to join his friends online, it is still better for them all to connect offline. I’m still fumbling through all of this and don’t have all the answers. I know the day will come when my son will ask for his first mobile phone and that will be a whole new set of lessons. But for now, being around, being aware, and being willing to learn alongside my children as they navigate these new tools is fundamental.